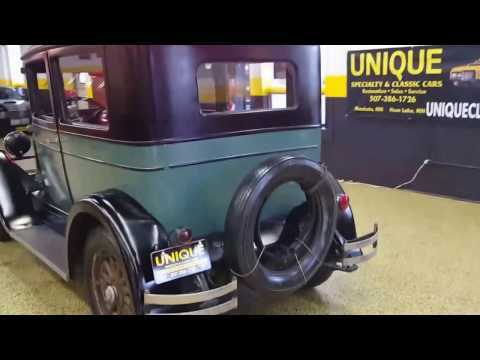 Take a look at this seldom found 1927 Oakland 2dr Sedan. This car starts right up and runs smoothly. The car had a freshening up a few years ago, but wasnt a full restoration either as you can see. New radiator, brakes adjusted, and a VERY solid body all ads up to a great car to cruise in that is NOT a Model A! Look at the pics and if you still have questions please email or call 507-386-1726. TRADES/OFFERS CONSIDERED!